Members of the Union County Homicide Task Force arrested a father and son in connection with the January 17, 2011 stabbing death of a Plainfield man, said Prosecutor Theodore J. Romankow. 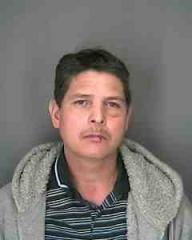 Following an investigation with the Plainfield Police Department, the Task Force arrested Pablo Garcia, 49 and his son Rodvin Garcia, 19, shortly after 8:00 p.m. Wednesday evening in Dutchess County, New York, said Romankow. Pablo Garcia is charged in the death of 19-year-old Jose Feliciano Garcia Toj, a native of Guatemala who was discovered in a basement apartment at 318 E. Front St., in Plainfield on January 17. Rodvin Garcia is charged with hindering his father’s apprehension, said Romankow. The arrests occurred in the hamlet of Dover Plains, N.Y. and were made with the assistance from the Dutchess County Sheriff’s Department, said Romankow. According to the investigation, Pablo Garcia shared the apartment with the victim. He is being held on $3 million bail. Rodvin Garcia is being held on $100,000 bail, said Romankow. Both are being held at the Dutchess County jail pending extradition.